Canned and packages juices and other sweetened beverages available in the grocery store contain added sugar and excessive amount of preservatives. Make wise choices this 2019! What you drink is equally important to what you eat. Have you ever given attention to what you drink? Have you ever given attention to what you drink? What you drink is equally important to what you eat. Canned and packages juices and other sweetened beverages available in the grocery store contain added sugar and excessive amount of preservatives which are harmful for your health. Also, they contain little or no nutrients, and too many calories which may lead to weight gain. This makes them extremely unhealthy and should be avoided. Well! The good news is that it is possible to make smarter, healthier choices with a few simple swaps and healthy ingredients. Nutritionist Rupali Dutta says, "Water is by far the best drink. It helps you keep hydrated all day long. Whenever you feel hungry try drinking a glass of water. It will promote fullness and control your hunger pangs. Moreover, water has higher levels of satiety." In addition, water is great for your skin. Drinking a glass or two of water in the morning can give a positive kick start to your day. Drinking lukewarm water in the morning also helps melt belly fat and aid in digestion. Water is by far the best drink. Our nutritionist also said, "some natural juices like lime water and coconut water are beneficial for our health. Moreover, these drinks are quite refreshing." Drinking lime water is superb for digestion. Limes are acidic and they help saliva break down food for improved digestion. If you experience constipation, the acidity of limes can clear the excretory system and stimulate the bowel movement. Lemon can also act as a detoxifier. On the other hand, coconut water is extremely delicious, nutritious and a natural beverage. This drink may be beneficial for your heart, kidney, blood pressure and weight loss. "Homemade drinks like mango panna or kaanji offer several health benefits." Mango panna is made up of raw mangoes which strengthens the immune system, is loaded with nutrients and cures many digestive disorders. Kaanji is a traditional Indian drink which is made up of beetroot, black carrots and has loads of benefits. It is salty and is rich in carbohydrates and other vital nutrients. 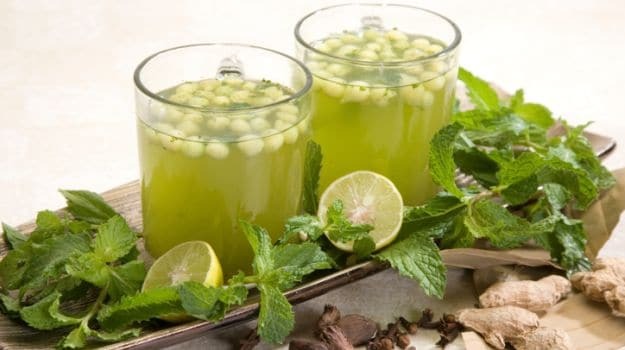 So the next time you feel thirsty try these super healthy and traditional drinks! "Again infused water is extremely healthy and refreshing. It is good for oral hydration and is rich in antioxidants. 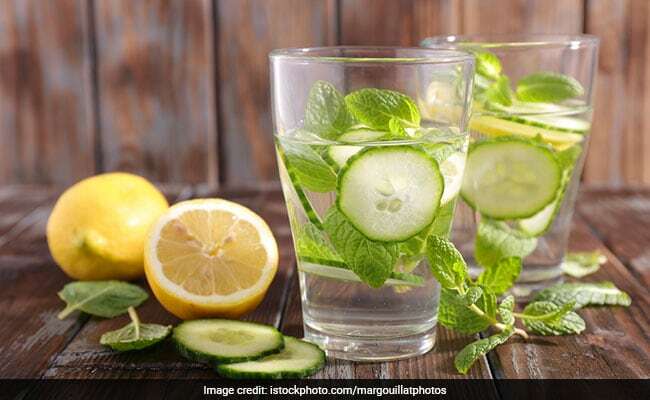 Some infused water drinks include jeera water, cinnamon water, strawberry water and cucumber water," adds nutritionist Rupali Dutta." These are extremely simple to make and can help in flushing out the toxins from the body. So the next time you feel thirsty try these super healthy and traditional drinks! Nutritionist further went on to say, "Whenever you cannot have a complete fruit, you can always opt for a blended fruit. Smoothies can be a complete meal." You can simply pick up the fruit of your choice, mix some milk or yoghurt, healthy nuts and seeds to make a nourishing and delicious smoothie. Smoothies can be a complete meal. These Simple And Effective Exercises Can Help Melt Belly Fat Within No Time! Do Include Them In Your 2019 Workout Regime!